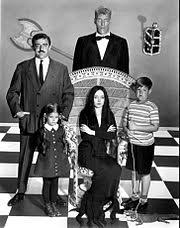 The Addams Family was an endearing bunch of creepy oddballs. 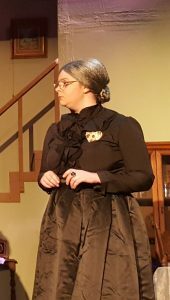 Appearing like zombies, witches and vampires they were actually a loving Mom, Dad, kids and extended family of rich and philanthropic homeschoolers. 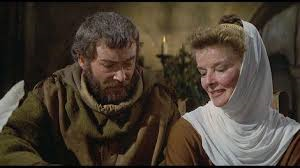 The family of Queen Eleanor and King Henry II, in the classic Lion in Winter were not so companionable, and battled continuously with each other throughout the play. 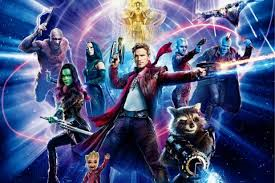 Different members bond with, then betray, each other, jockeying for power, land, revenge, attention, or love. At the end of a particularly vicious argument with her husband, Eleanor, left sitting on the floor in the doorway, gathers herself together and to self-console muses: "Well, what family doesn’t have its ups and downs?" NONE of them have anything on the Brewsters. 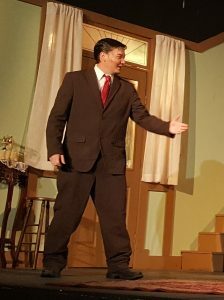 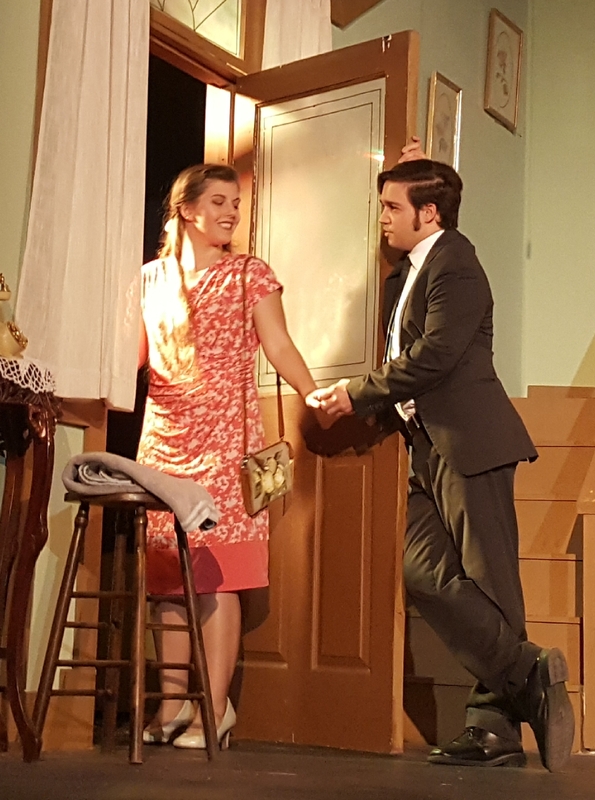 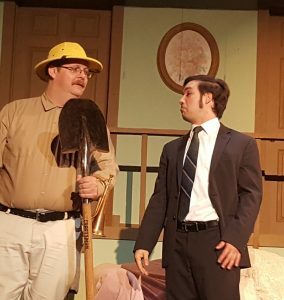 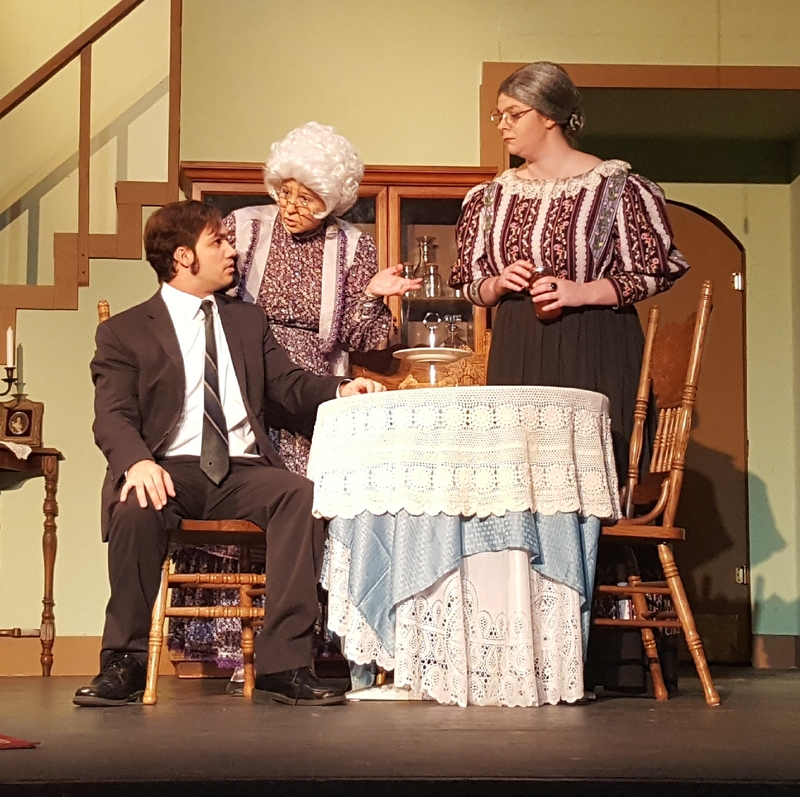 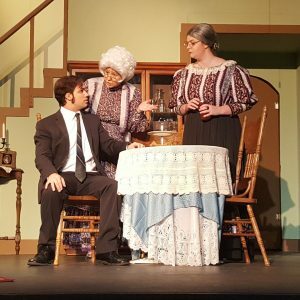 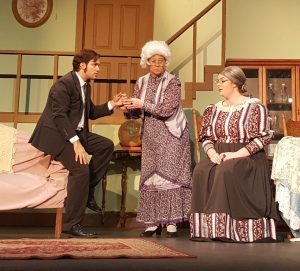 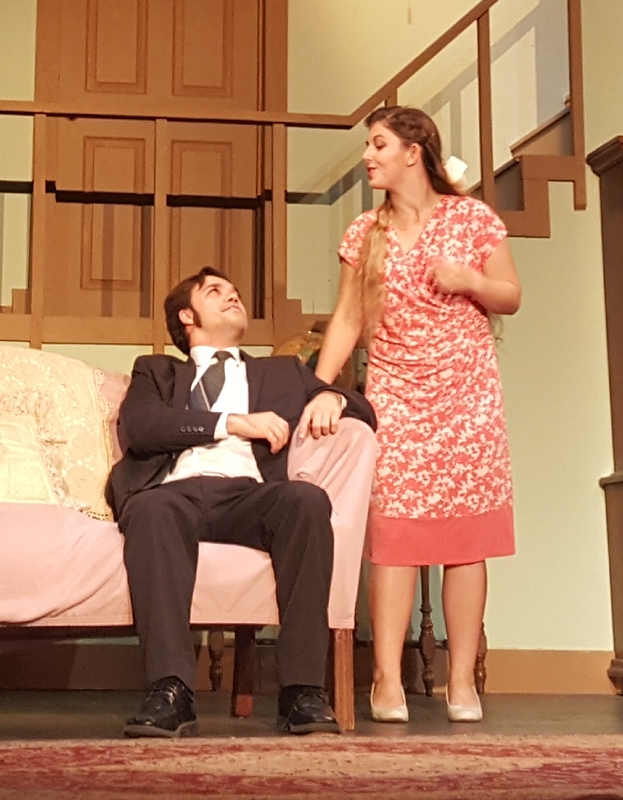 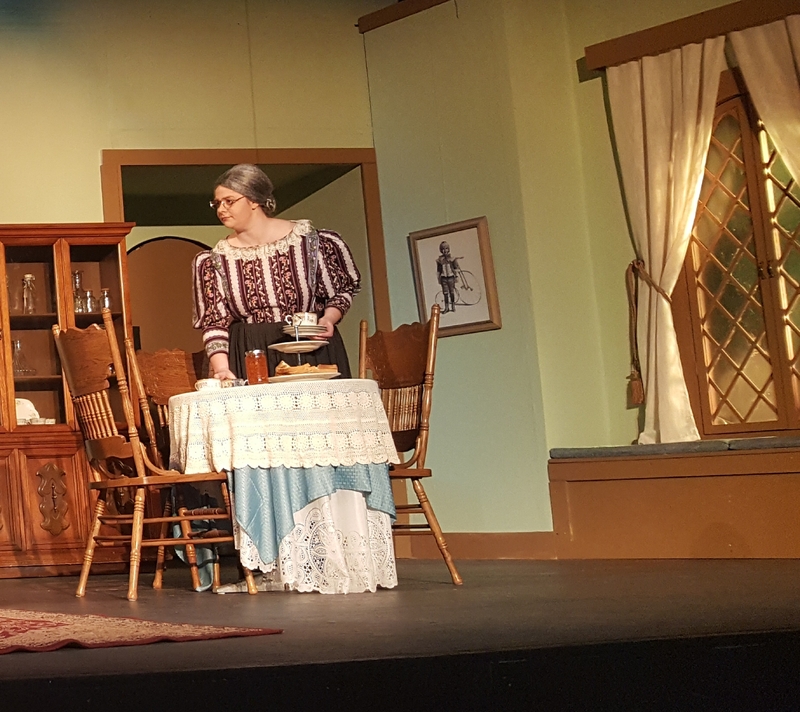 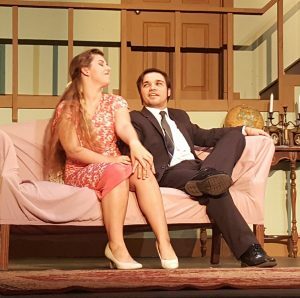 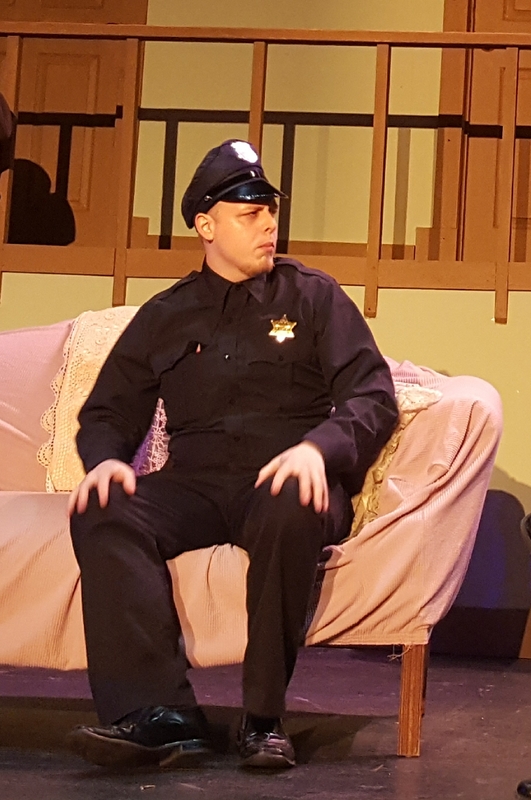 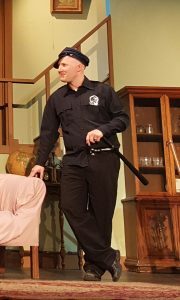 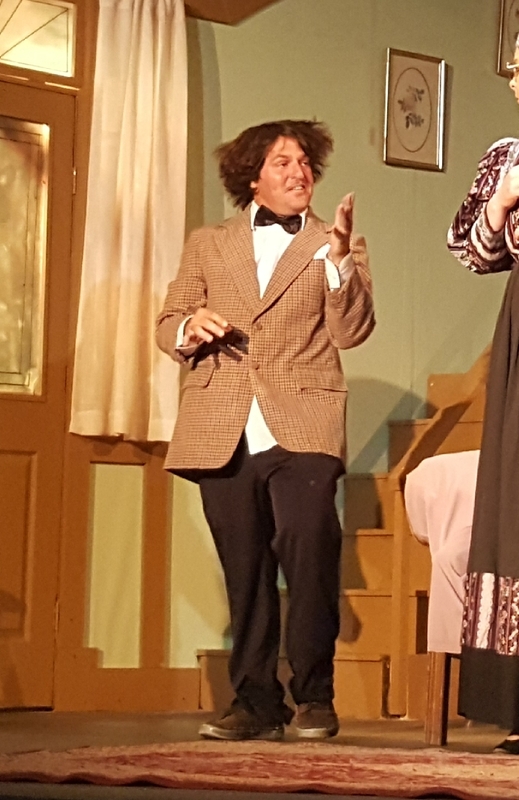 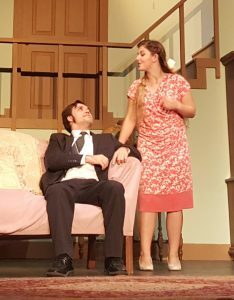 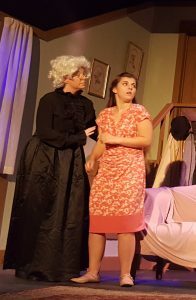 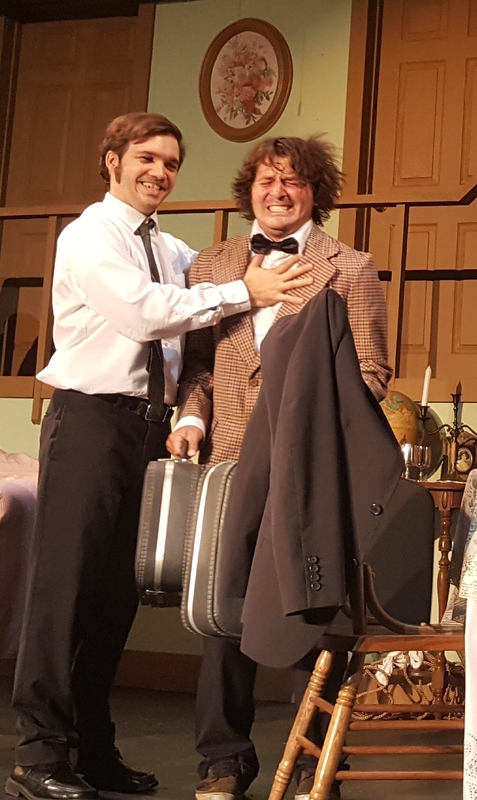 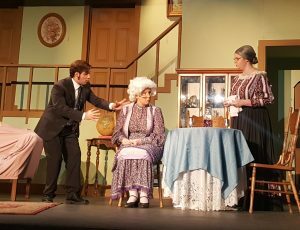 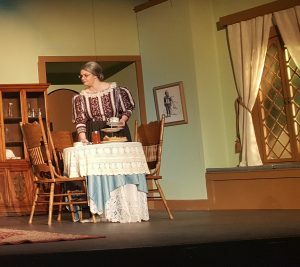 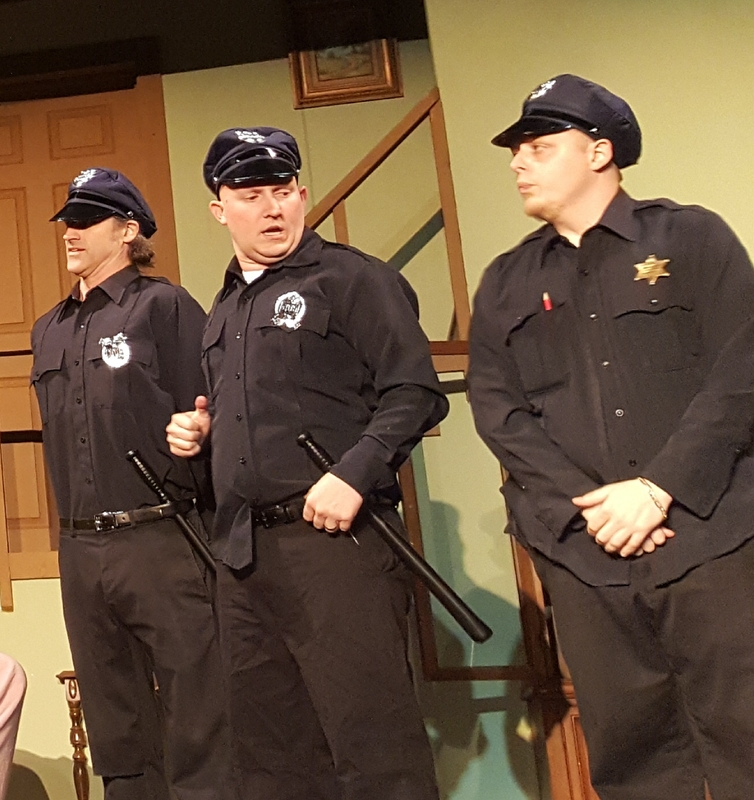 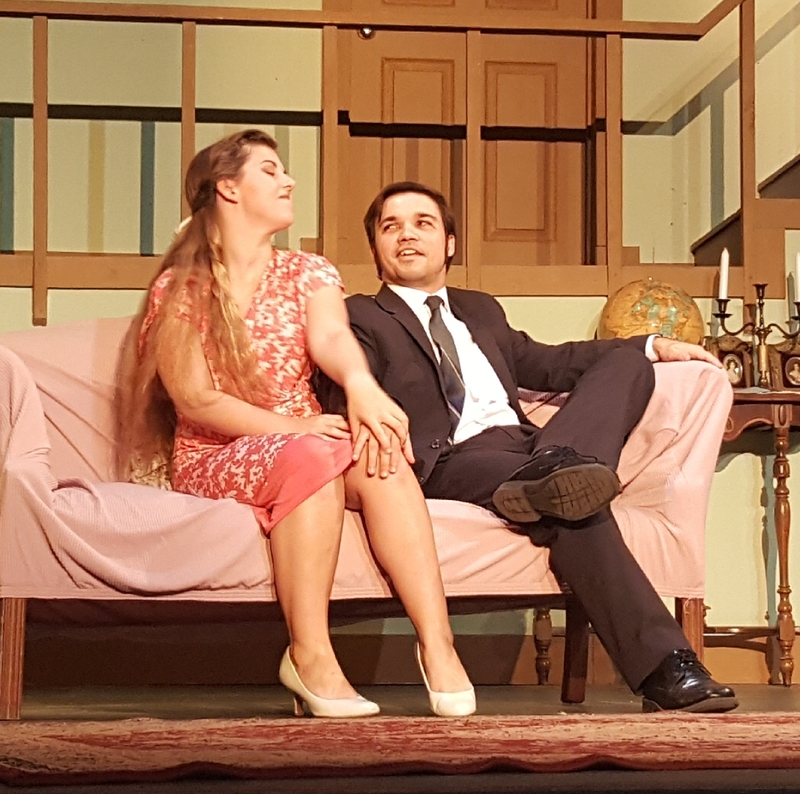 The premise of Arsenic and Old Lace is that Mortimer, a once cynical-of-romance theater critic, now totally smitten and freshly engaged to Elaine, the girl next door, goes to his sweet, loving, maiden aunts’ home for a visit and to break the good news. In residence is his adorable Uncle Teddy, who thinks he is President Theodore Roosevelt, periodically charging up the stairs he knows as San Juan Hill and digging grave sized locks in the basement, which he thinks is the Panama Canal. Hovering in the background is the ominous, but so far absent, other brother, Jonathan. 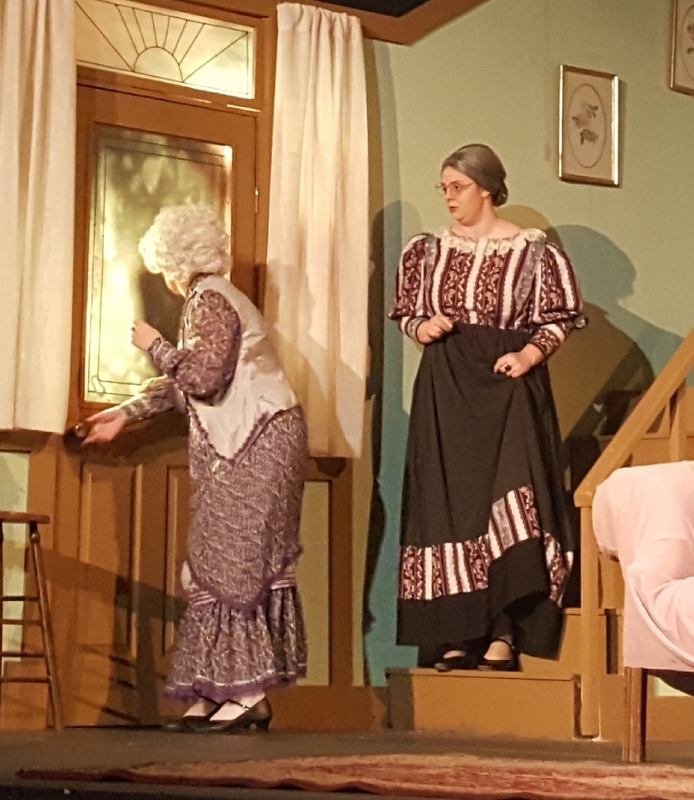 And so the stage is literally set for this very black and very funny slapstick comedy about a family which would put the Guardians on alert, make the Addams Family startle, and have both Henry and Eleanor running for cover. 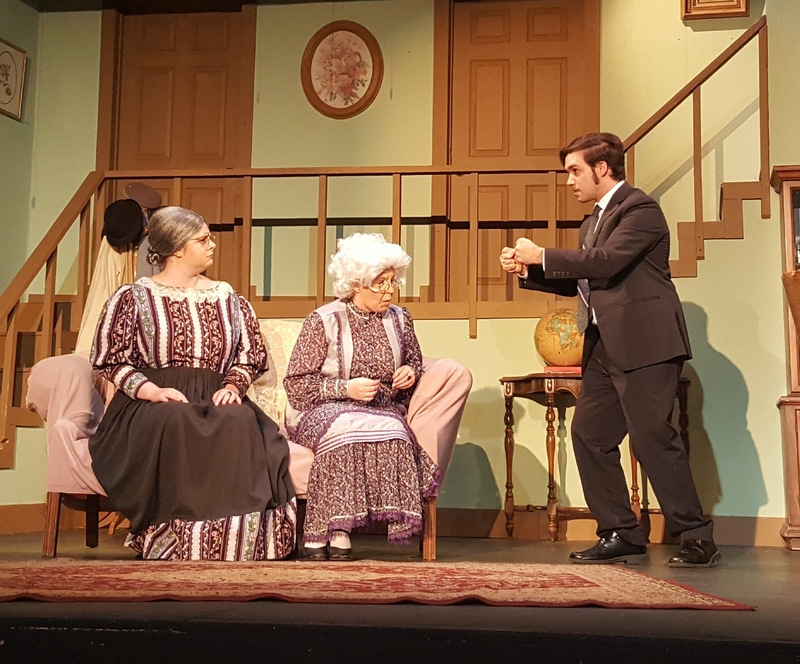 Bodies pile up and are switched like the plates of tuna in Noises Off or the suitcases from What’s Up Doc, identities are hidden and a good time is ultimately had by all…except for the corpses…in Arsenic and Old Lace. 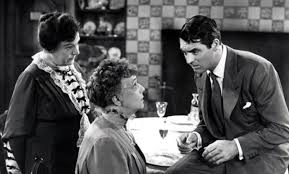 I hesitate to say more for the benefit of those readers who have not seen either the play or the brilliant 1944 movie directed by Frank Capra and starring Cary Grant. If you don’t know the story it is just too delightful to spoil. If you do know some of the details then it will be like going back for seconds of your favorite ice cream. 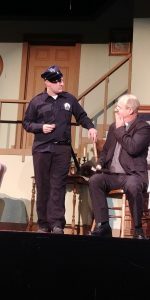 Clay Hebert, the director and Officer Klein, is a familiar and welcome face from every stage Lake Charles offers. He has a resume which spans from McNeese's Theater to ACTS, and from Lake Charles Little Theatre to the Bayou Players and independent film productions all over Lake Charles. 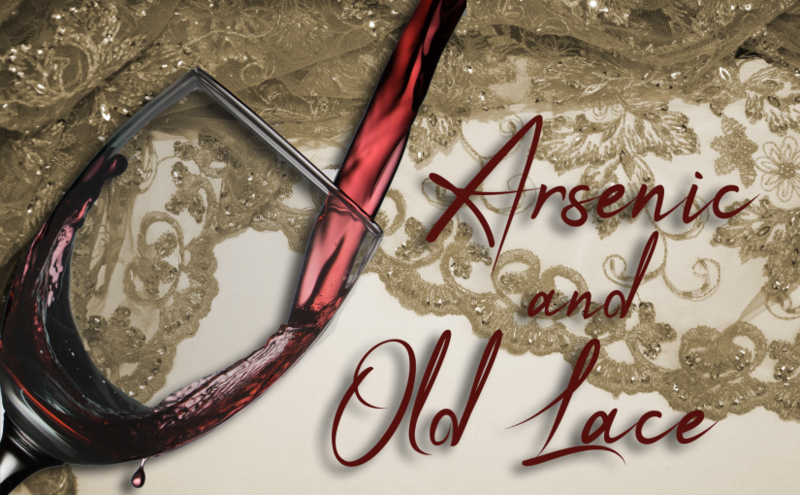 Clay artfully guides this fairly large cast through the quick draw and fast paced humor of Arsenic, which is to comedy what very dark and deliciously bitter semi-sweet morsels are to chocolate chip cookies, skillfully leading his troupe over that tightrope between horror and humor. Louis Barrilleaux, another talented veteran of ACTS, LCLT and McNeese for over 20 years, is Mortimer, the eye around which this storm circulates. Kelly Rowland and Sarah Broussard, respectively as Martha and Abbey Brewster, age themselves convincingly 50 years to play Mortimer’s adorably naive and unassuming aunts whose home is the site for some rather….unexpected events. 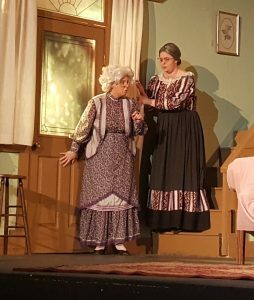 Both ladies have degrees in performance, Kelly in music and Sarah in theater, with a wide and diverse range of acting credits. Rebecca Harris, an actress with an impressive resume, is Mortimer’s confused but stalwart fiancee. 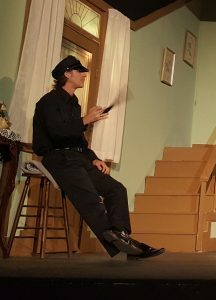 Aaron Webster, a self-described reluctant actor, is eminently creepy as Jonathan, the ne'er-do-well prodigal brother. Brahnsen Lopez, another stage veteran, plays Jonathan’s would-be repentant colleague, Dr. Einstein (not Albert). 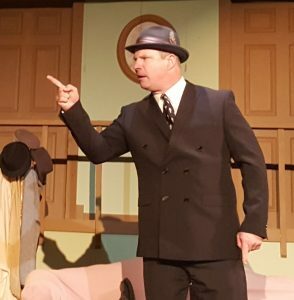 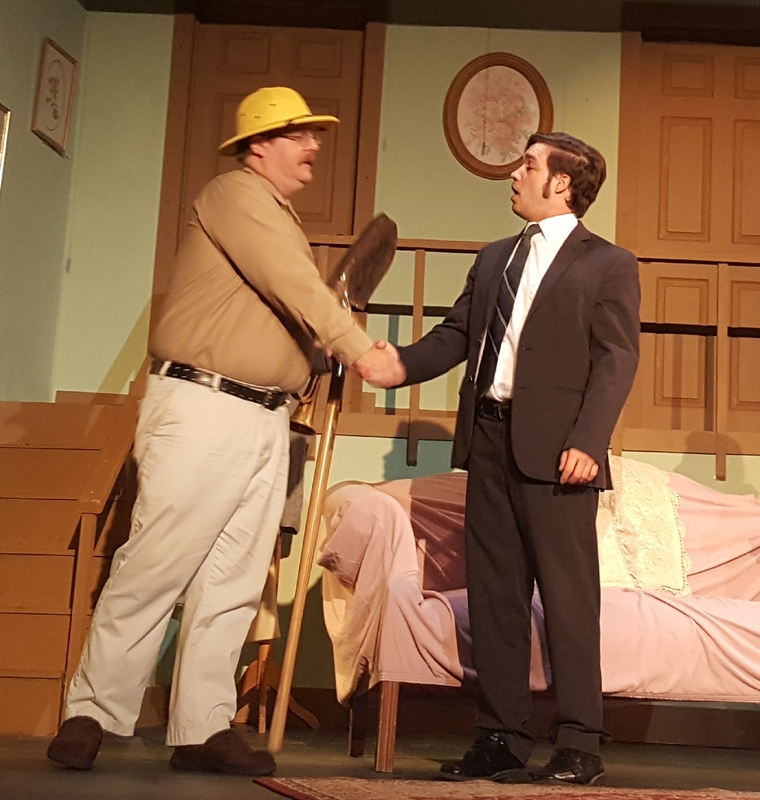 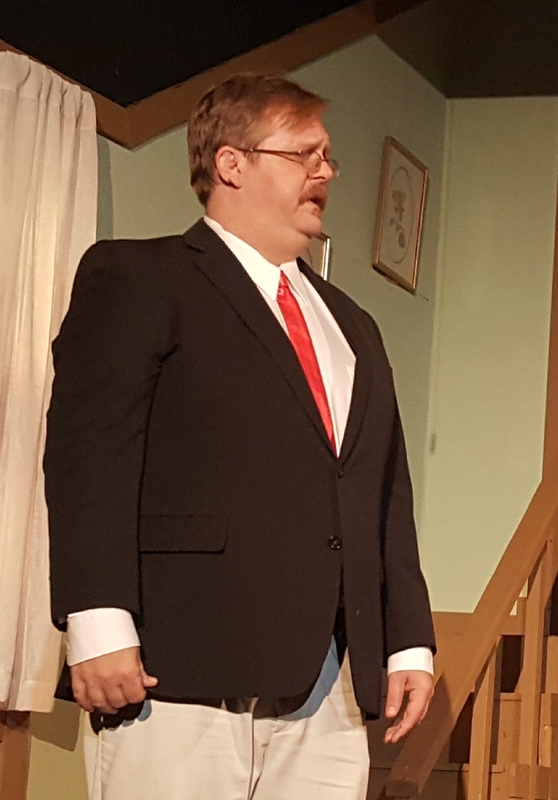 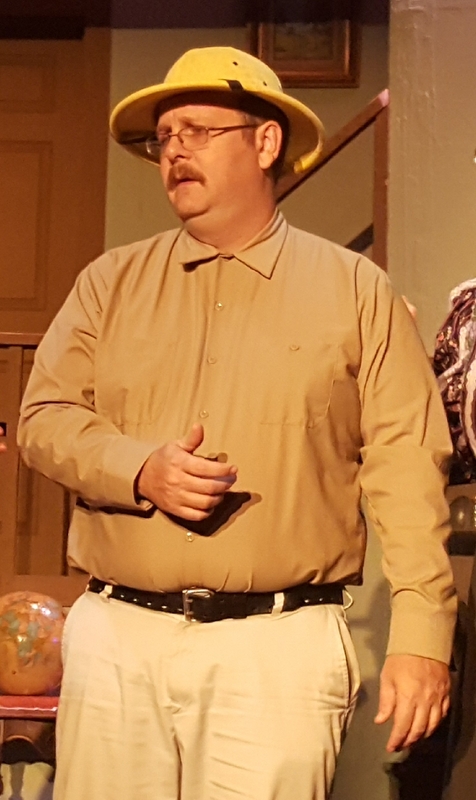 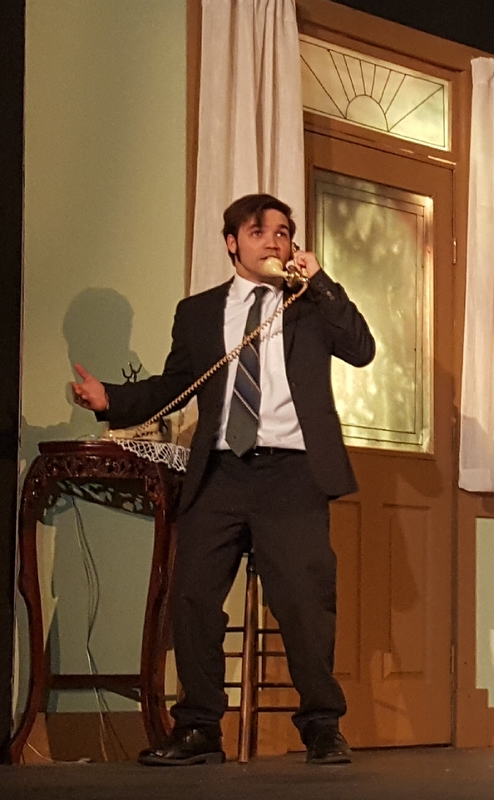 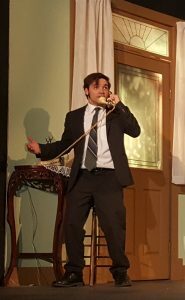 Matt Dye, local radio personality and frequently cast in small but scene stealing roles, does it again as Teddy. 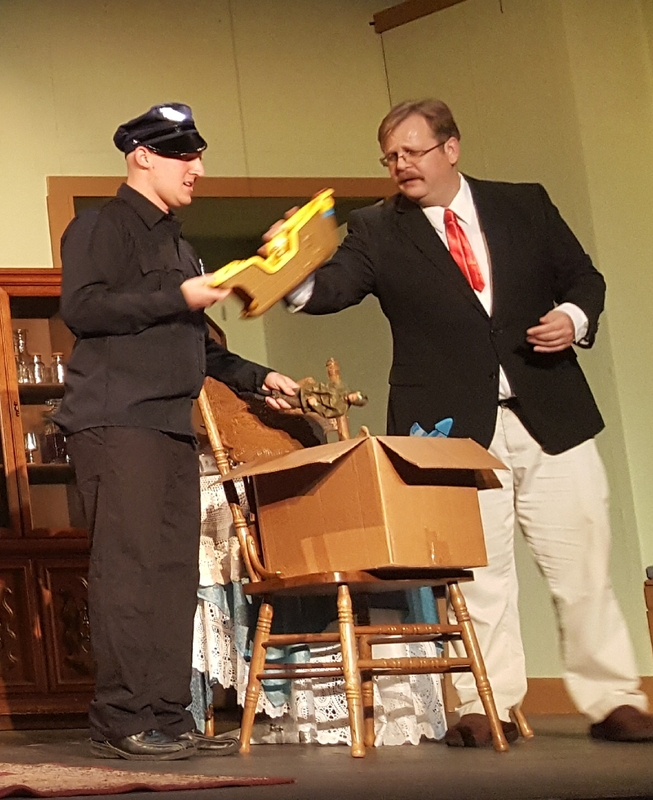 Mark Hebert, Dusty Duffy, Dylan Conley and Kathy Heath round out the cast with memorable supporting characters. The set is terrific, creating the authentically homey, gentle parlor of two elderly aunts, making the sinister events all the funnier for the contrast, complete with two sets of stairs and a landing up and through which Teddy has the freedom to charge with abandon, a window seat which can house…various and sundry… and French doors through which the characters are free to pop in and out. 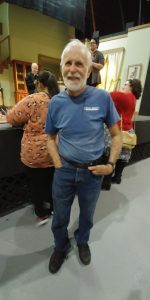 I was privileged to interview Diki Jines, master electrician on the set and will have his interview clips up shortly below, talking about the set, its design and a little background. 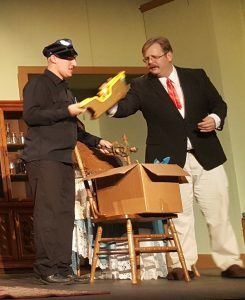 Timing and blocking are very key, especially in this comedy of terrors and Clay has the tempo and coordinated actions and responses wound like a Swiss Cuckoo clockwork. 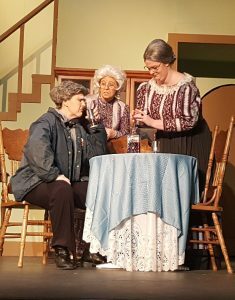 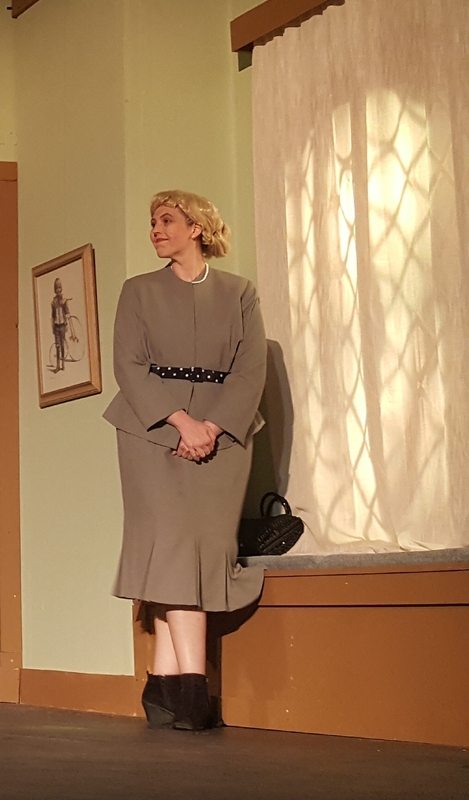 It’s a joy to watch a stage full of such talented veterans work smoothly together, and the fact most are old friends and/or fellow thespians, who have trod the boards often together, helps catalyze the chemistry that makes this play full of intimately connected characters work. These performers know each others’ rhythms and make the most of their considerable pool of experience to bring us a delightful evening of fun and fright, chills and chuckles, comedy and carnage, shocks and snickers, jocularity and jump scares.